While waiting at the train station for a friend’s arrival I looked up and saw, once again, how something can come from nothing. It may not be something totally interesting, but it makes me react, think about whatever the prompt was, consider the way things work, or don’t, and add another moment of being present to the day. These ‘incidental’ observations keep me tuned up and hungry for whatever may be next, while giving me a tingle of pleasure in the moment. 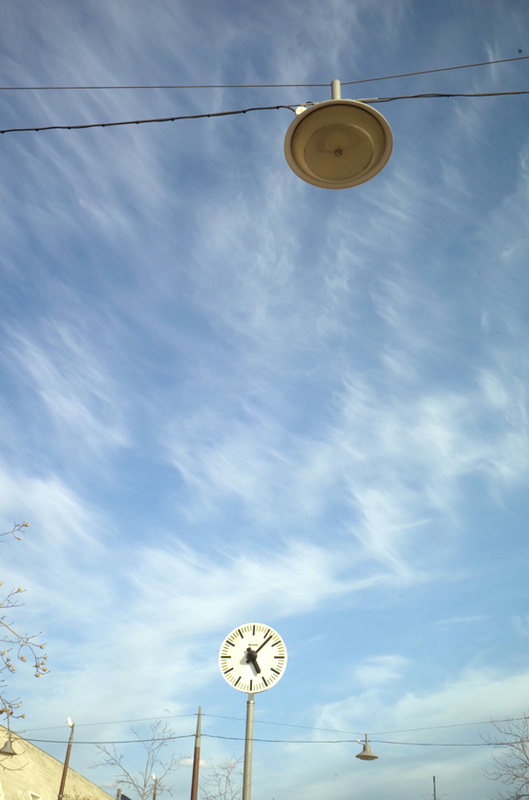 This entry was posted in Time, Train station and tagged Clock, France, Provence, sky, Time on March 19, 2015 by joelmeyerowitz2014. An aspect of the mundane, seen freshly and made into a photo.